Being organized is something certain people find natural but others need a little bit of help just so they can be more productive in what they do or to use the space they have in the best and most efficient way possible. 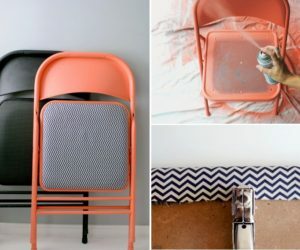 The following organization hacks might give you a few cool ideas which you could implement in your own home and even share with others. Tiny teaser: the kitchen organization tips are super useful. We know it’s annoying having to charge your phone and not always having a surface on which to keep the phone during this time. That’s why we want to share with you this simple hack from our Video on Youtube. 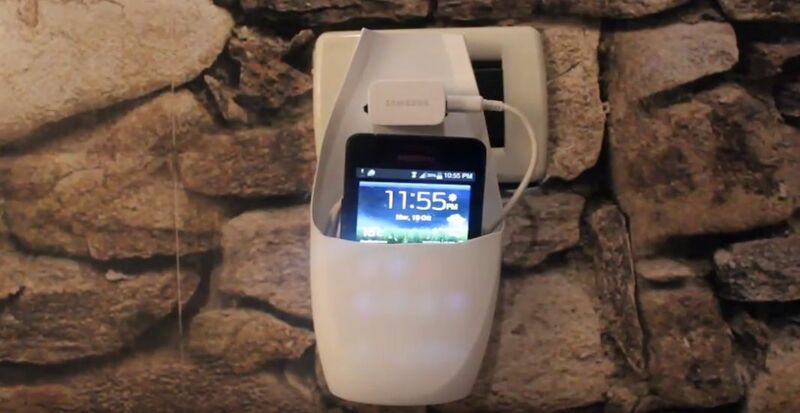 It’s a holder for your charging phone and it’s made out of a plastic bottle. Another annoying thing is keeping all the makeup products organized. Usually they’re kept in a basket or a box, in a drawer or on the shelf of a cabinet but none of those options is really practical. You know what would be practical? 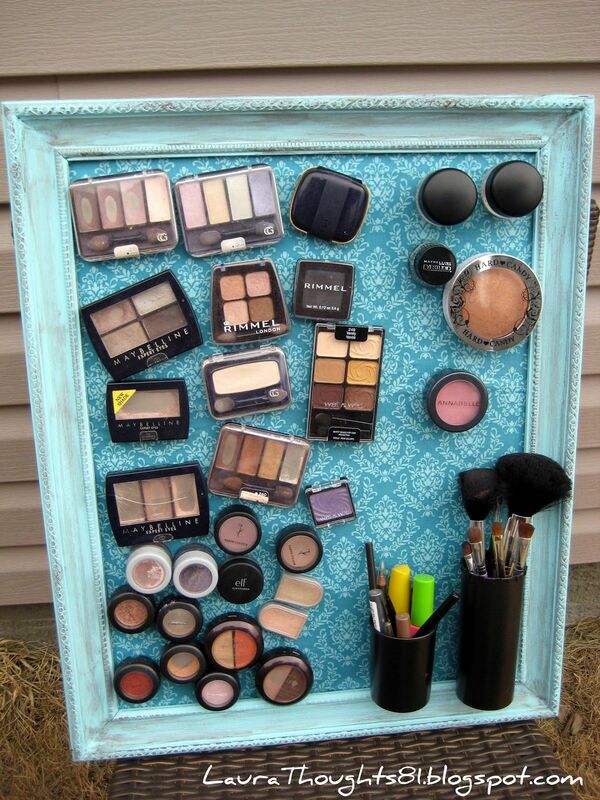 A magnetic makeup board like the one featured on laurathoughts81. Maybe you don’t do a lot of work at home but every once in a while you have to write stuff down or to work a bit on your laptop and it’s better to have a desk for that than to improvise every time. A regular desk would just tape up space but a small, fold up pallet desk like the one from thislewoodfarms would actually be just right. Storing things in cardboard boxes can definitely be practical but is not the most stylish or good-looking option. Luckily, you can do something to improve that. 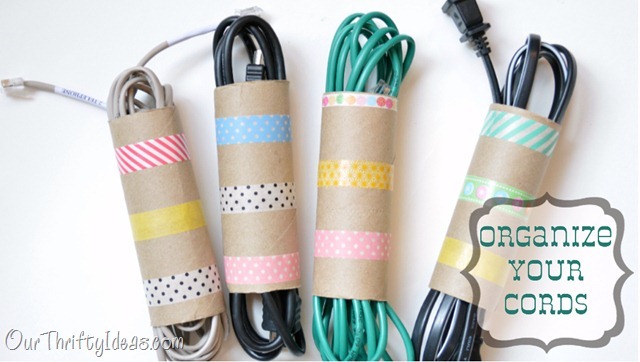 To be more specific, you can use rope and fabric to give a simple cardboard box a makeover. What you’ll get is a rope-wrapped box that looks cool enough to be kept in the living room, the bedroom or in your cozy reading corner. 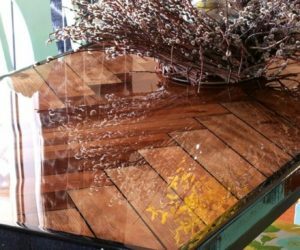 Some of the coolest DIY projects are the one that use discarded objects, offering ingenious ways to repurpose them. 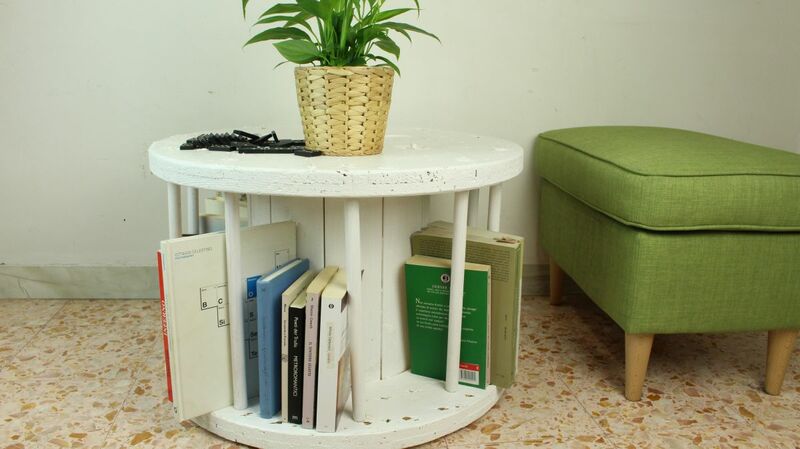 Some of the ideas are also great for organization purposes, like this cable reel coffee table which lets you neatly store and display your favorite books in a cool and unconventional manner. We mentioned some kitchen organization hacks in the beginning of this article and it’s about time we shared them with you. Let’s start with this pull-down spice rack which can help you save space in the kitchen in addition to being super practical. You can attach to the underside of a cabinet, wherever you think it would sit best. 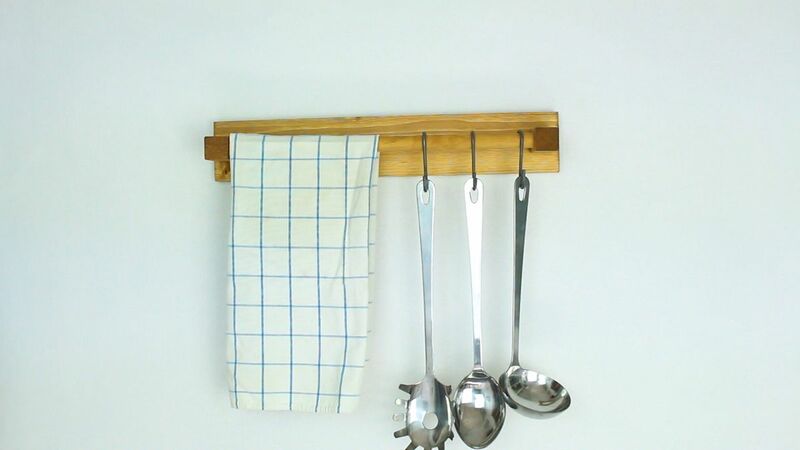 A wall-mounted utensil holder is another thing you might want to add to your kitchen. 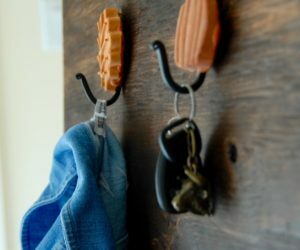 It’s easy to make and very practical, plus you can hang it anywhere you want. 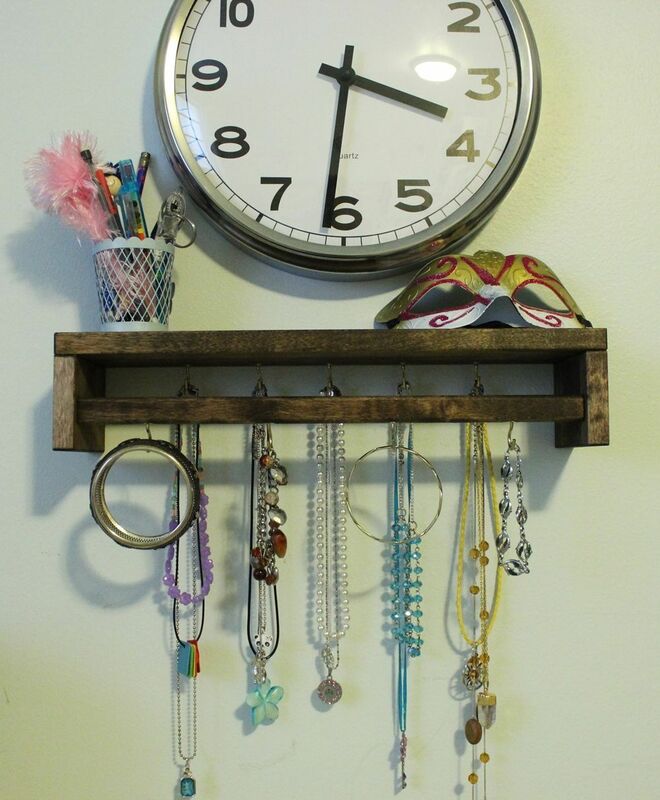 You just need some scrap wood, a dowel and a few S hooks. 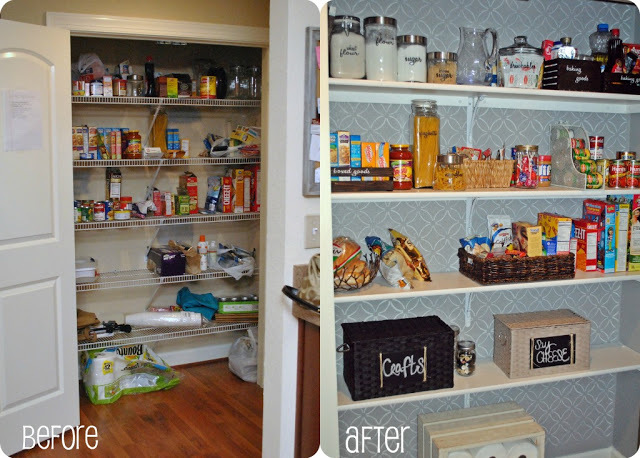 If the pantry is messy, the whole kitchen seems disorganized so we definitely suggest taking some time to find suitable pantry organization ideas that work for you. 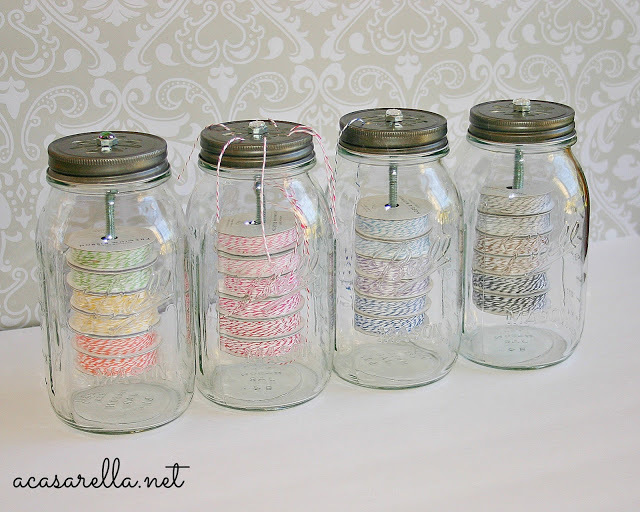 We suggest storing small things in jars and to keep items organized in boxes. You can label them if you want to. 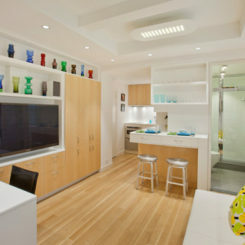 This idea is not necessarily meant to help you save space although it does that in a way. 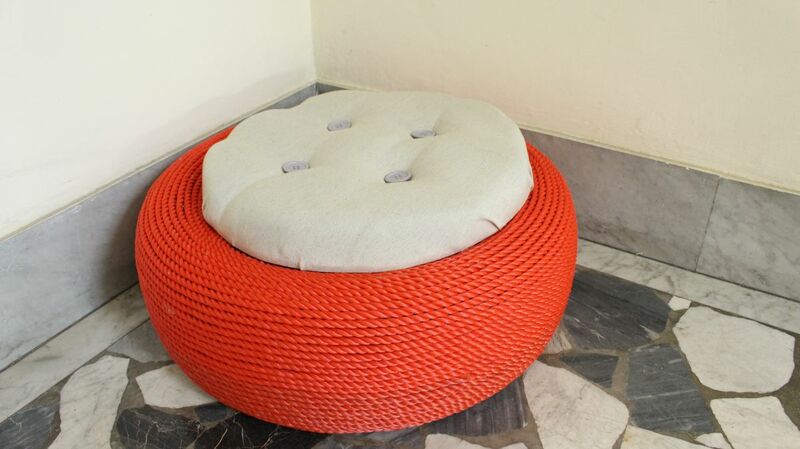 We’re talking about turning an old tire into an outdoor storage stool. It’s surprisingly easy and the result is super cool and inspiring. 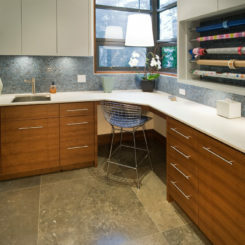 Some minor repairs around the house can also help make a space look and feel more organized. For example, if you have a wobbly table you can cut a piece from a wine cork and solve the problem. You can either just squeeze the piece under the leg of the table or you can glue it on so it stays in place in case you don’t plan on moving the table any time soon. Another cool repair hack involves using white toothpaste to fill a nail hole in the wall. You just squeeze out a bit of toothpaste and you use it to cover up the hole in the wall, then you let it dry. It’s very smooth and soft so no sanding is required. You can also unscrew a stubborn screw using a rubber band. You can use this hack whenever you find a screw that had its grooves stripped and you can’t use a screwdriver to get it out. Just use a rubber band and it will come right off. Did you know you can also repair a scratch on wood furniture using a walnut piece. Well the scratch won’t magically disappear but it will be less obvious and the surface of the wood will become smooth once again. Don’t let old kitchen tools and containers occupy space when it’s clear that you no longer need them but don’t throw them out before you’ve had a chance to repurpose them. 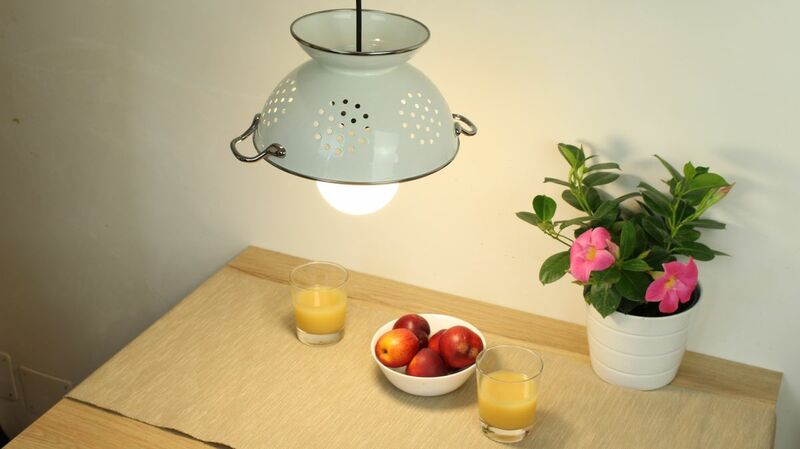 A cool idea, for example, can be to make a colander light fixture. You know what else can get messy and annoying? Your jewelry box. 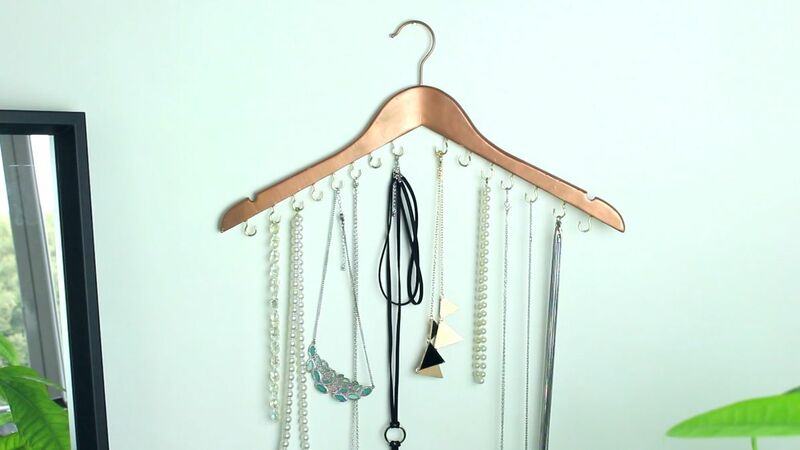 That’s why we suggest making a simple jewelry organizer out of a wooden hanger. Actually, there are several strategies and design possibilities in this case so have a quick look at out video tutorial to be inspired. 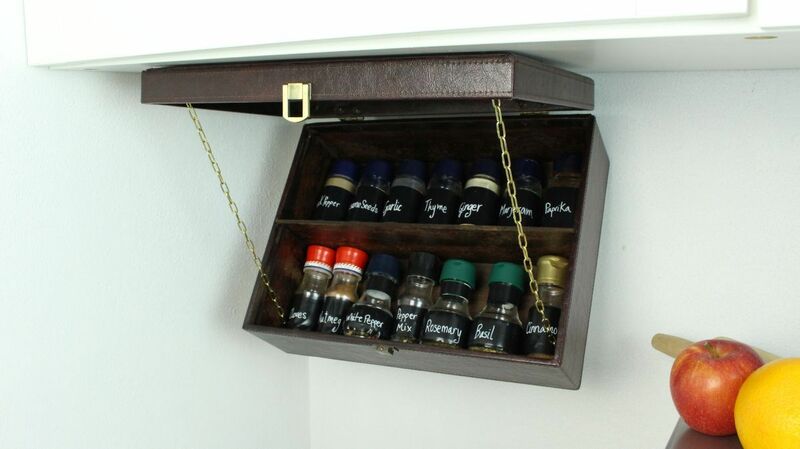 If you still haven’t found the right way to store and to organize your spices, don’t lose hope. The right idea is out there. 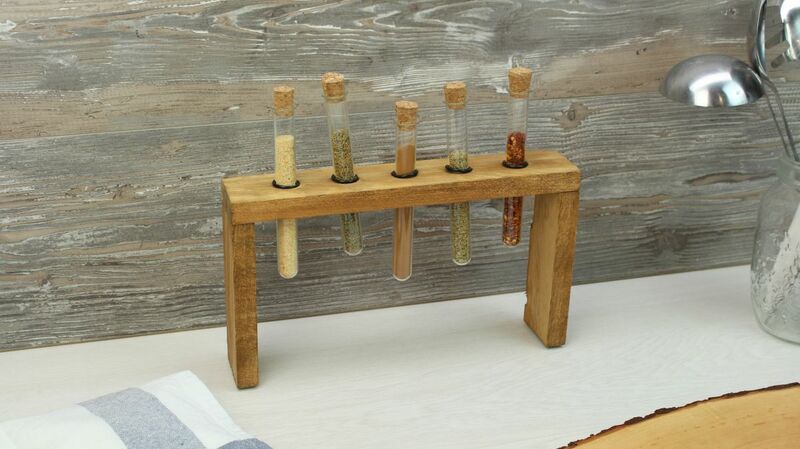 Perhaps this test tube spice rack is it! We find the idea to be very cool and also easy to implement. It also seems pretty practical. Having fresh herbs and spices is definitely great but do you also have a practical way to organize them? 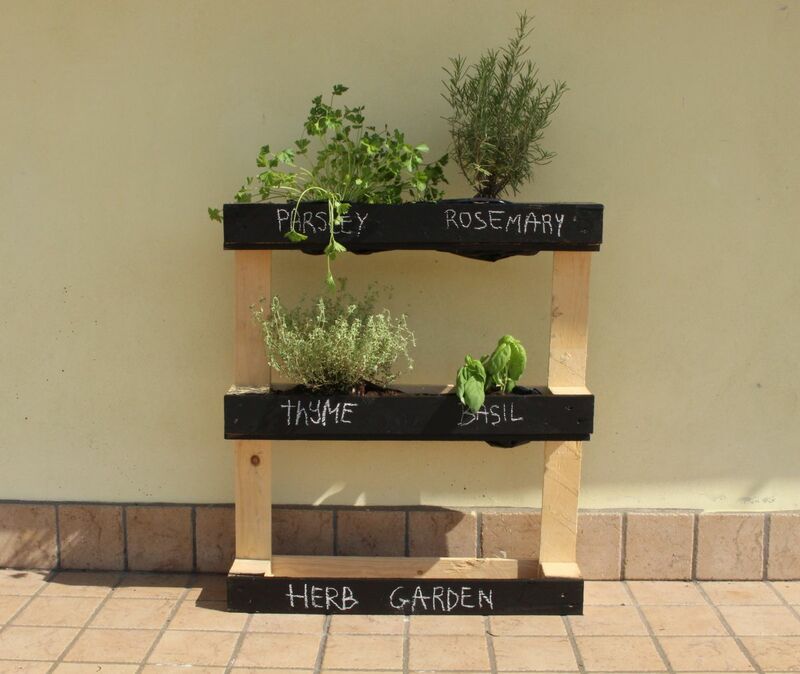 One particularly good option is to make a pallet herb garden. 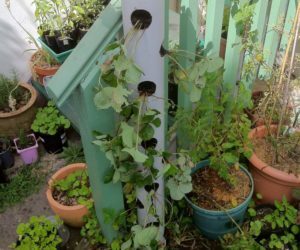 It’s great if you don’t have space for a garden or if you live in an apartment. Kids get bored of their toys pretty quickly and then you’re left with a bunch of things that just take up space. Some of those toys could be turned into cute decorations for the home. 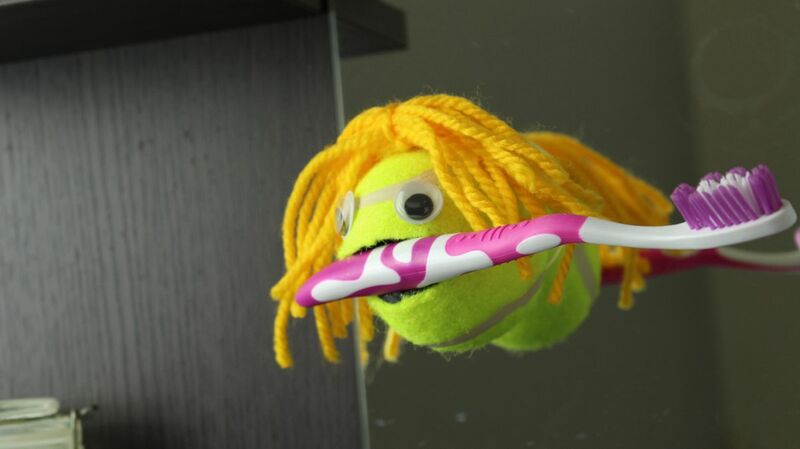 For example, you can turn a tennis ball into a lovely key, mail or toothbrush holder. 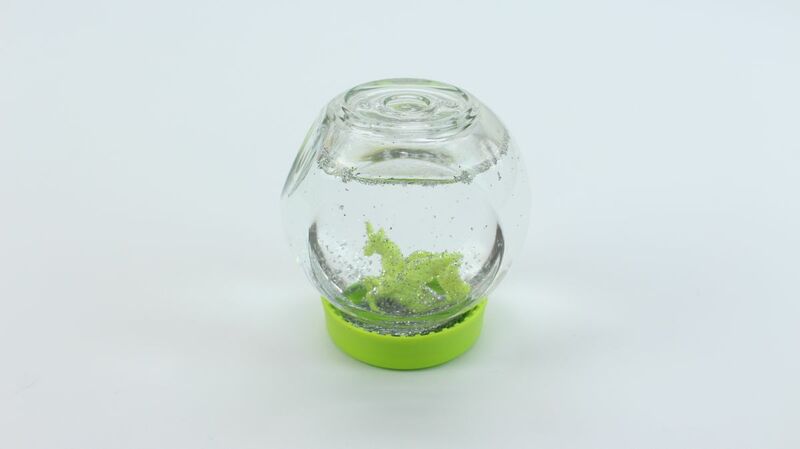 You can also use a small plastic toy to make a glitter snow globe. It’s super easy. Just glue the toy to the inside of the lid and then fill the jar with a mixture of water, glycerine and glitter. 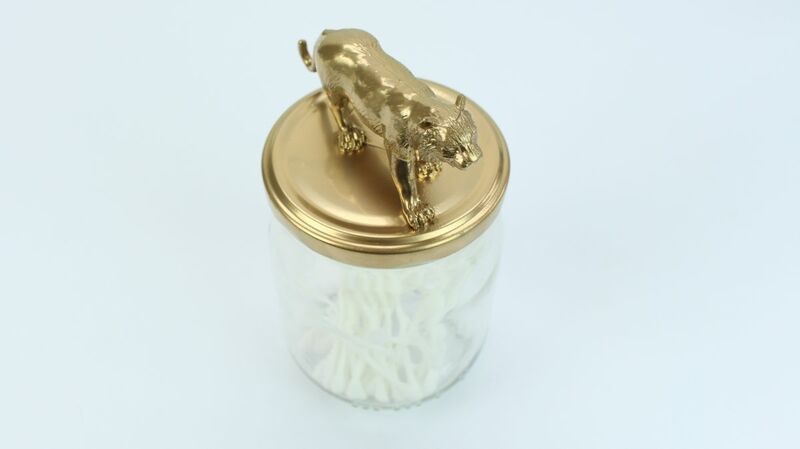 A plastic animal (or other small toys) can also be glued onto the lid of a jar, as decorations. After you glue the toy onto the lid, apply spray paint over them. Let it dry and then you can use the lid as usual. Leftover balloons can be useful too. 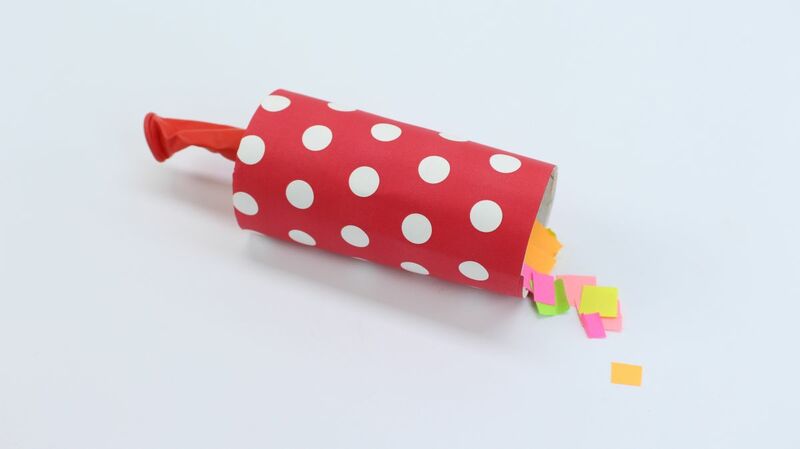 You can make some fun confetti poppers out of toilet paper tubes by filling them with confetti and closing them with balloons at either end. You can also decorate them with patterned paper. 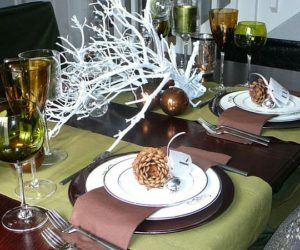 Another cute idea is to make felt covers for the table legs. It’s a useful tip especially if you have kids who like to play with cars and other toys and to pretend they climb the furniture or defeat huge monsters. These covers will protect the table legs and will also look cute. 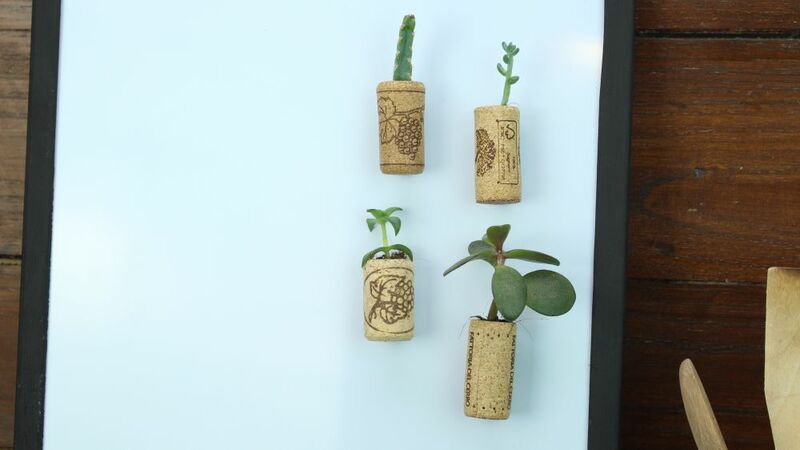 If you would have saved all the wine corks over the years by now you’d probably have a cool and original collection of tiny cork planters. You can glue small magnets on them so you can display them on the fridge. 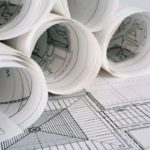 A part of the home organization process is also deciding what to do with old, unused or broken objects. 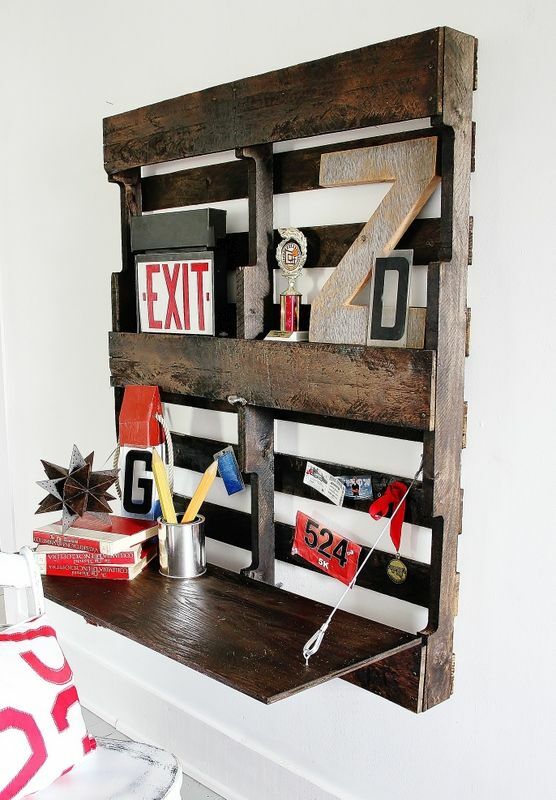 We’re big fans of upcycling and repurposing projects and we find such transformations to be super cool and inspiring. 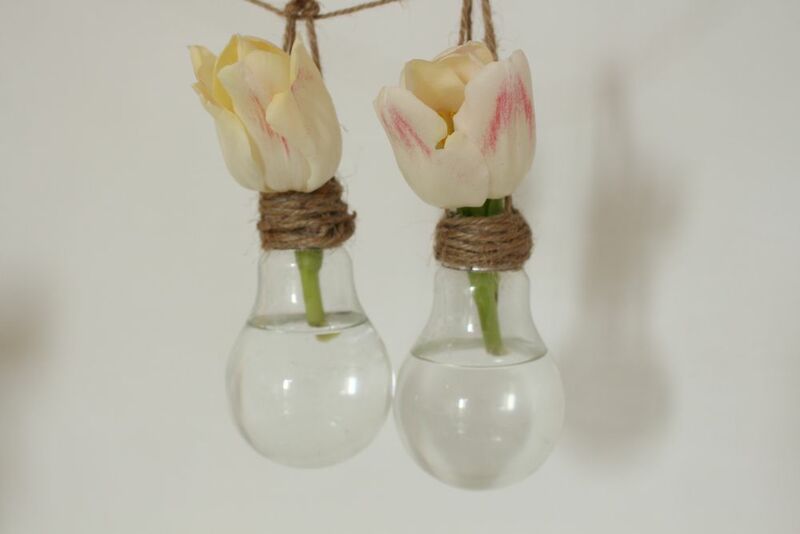 One of out top favorites is the light bulb flower vase. Remember that tiny pallet desk we showed you earlier? 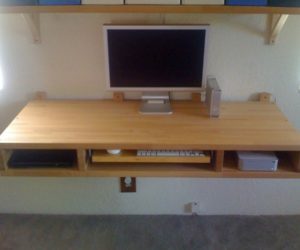 The idea behind it is cool and practical so here’s another similar project: a flip-down wall-mounted desk which can be disguised as wall art when not in use. 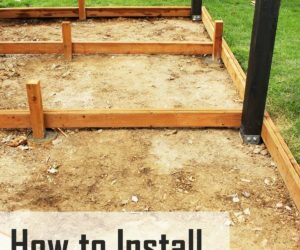 The idea comes from ana-white and that’s where you’ll also find instructions on how to build this thing. Paper towels are indispensable in the kitchen so we love having them around but they always seem to be in the way and that’s not really great from an organizational point of view. 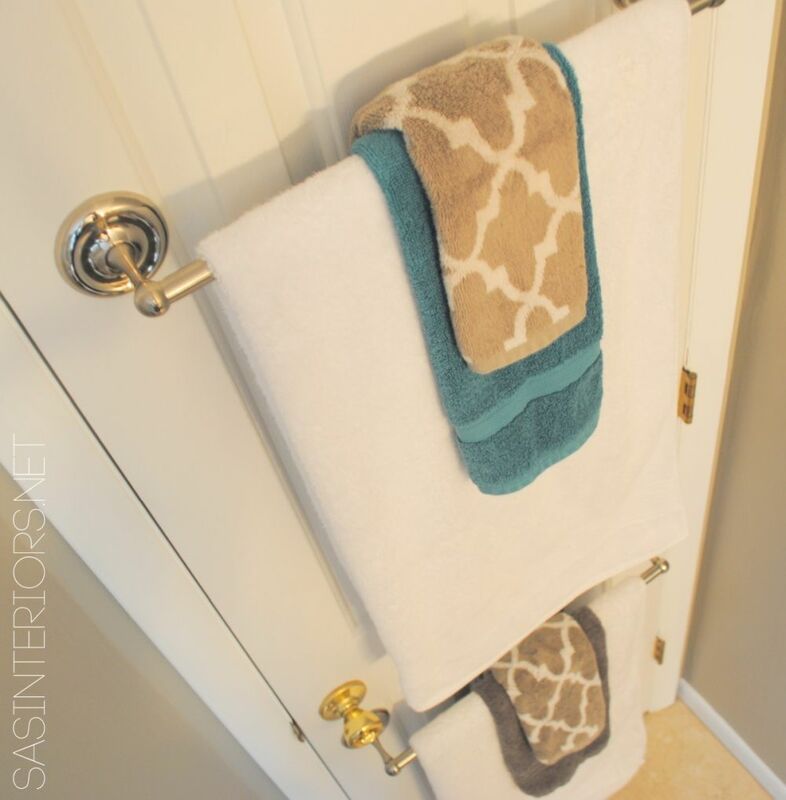 You could solve the problem with an under-cabinet paper towel holder. 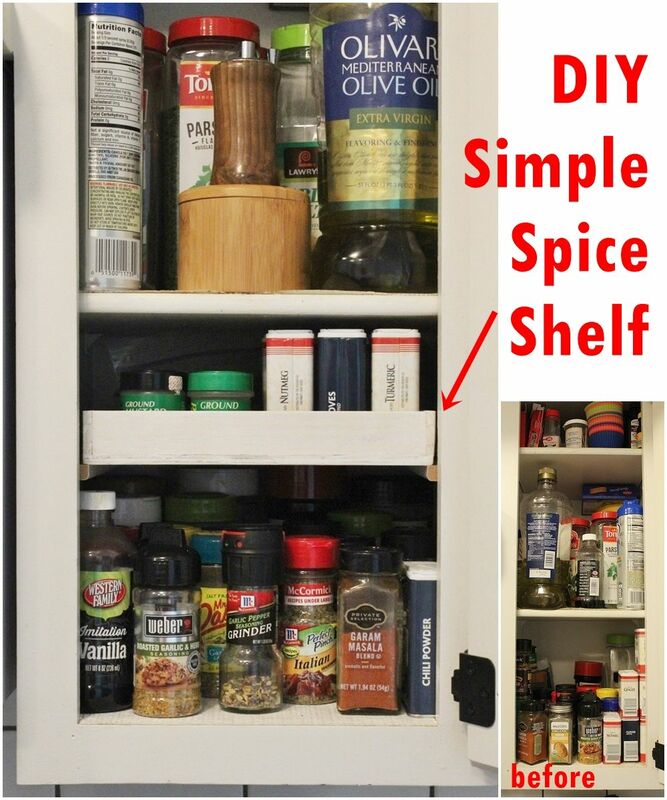 Consider this situation: you have a small kitchen cabinet with a dedicated module just for spices and that’s great and yet the module is too high and there’s no point wasting space when you can add a clever spice shelf to expand the storage capability of the cabinet. 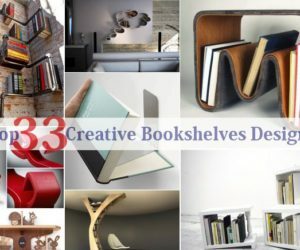 You can built the shelf yourself. Speaking of spices and organization hacks, chances are you already have a spice rack in your kitchen so you’re familiar with how practical it can be. What we’re suggesting now has nothing to do with this but is still cool and interesting. The idea is to turn a spice jar into a jewelry holder. It’s an easy transformation with lots of customization possibilities. 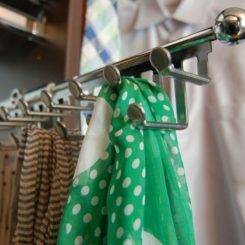 Things like scarves, jewelry, sunglasses and other similar accessories are difficult to keep organized and neatly stored. 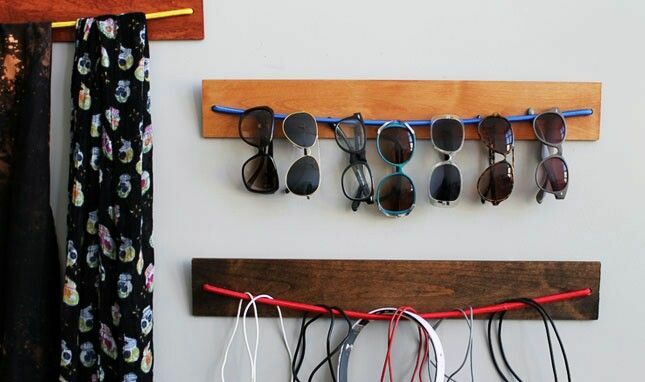 One way to maximize storage in this case involves a simple DIY project: a wooden bungee organizer. You can find out all about it from the tutorial offered on brit. Cords and cables are super annoying too because they’re just so difficult to organize. That, however, can be easily solved. 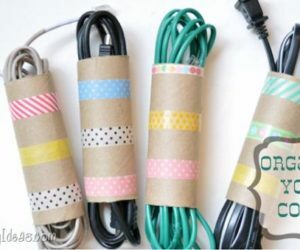 All you have to do is save some empty toilet paper tubes and use them to organize small charger cables and and similar things. 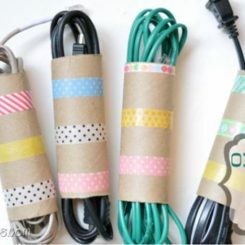 You can label them if you want or you can decorate them with washi tape as shown on ourthriftyideas. Bobby pins, tweezers, clippers, files and other small metal accessories always get lost around the house and everyone knows it. You can try to store them in a basket or a box but that’s not really practical. A better solution would be to add a magnetic organizer rack to your bathroom. You can use a simple magnetic knife rack. This ingenious idea comes from darkroomanddearly. It’s nice to have ribbon in the house, in case you need to decorate a gift for example, so you might want to have a few rolls around. Storing and organizing them, however, is not that nice, unless you adopt the idea featured on acasarella. 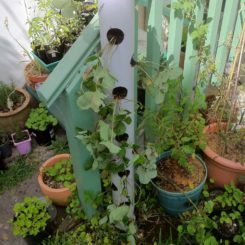 This is one of the coolest and most ingenious DIY projects ever. The main protagonist is a mason jar with a lid. 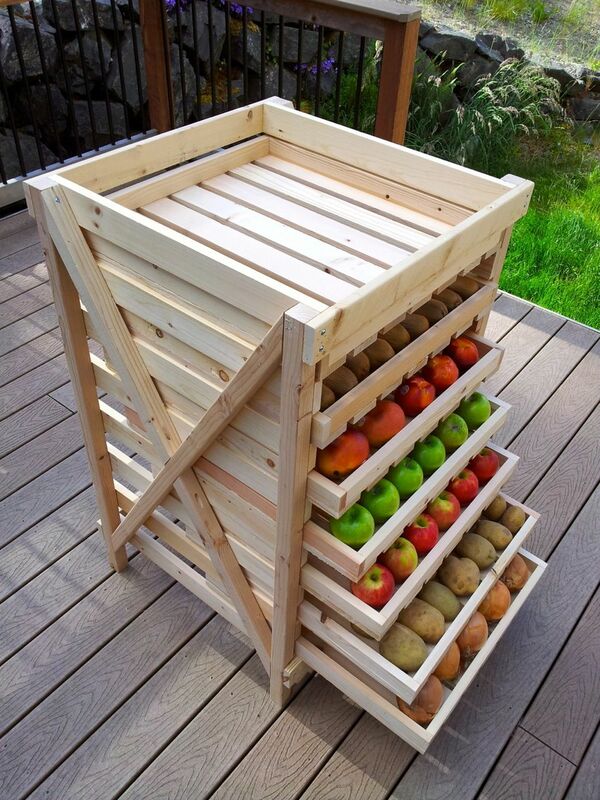 Fresh fruits and vegetables are delicious but they need to be stored properly if you want them to last. 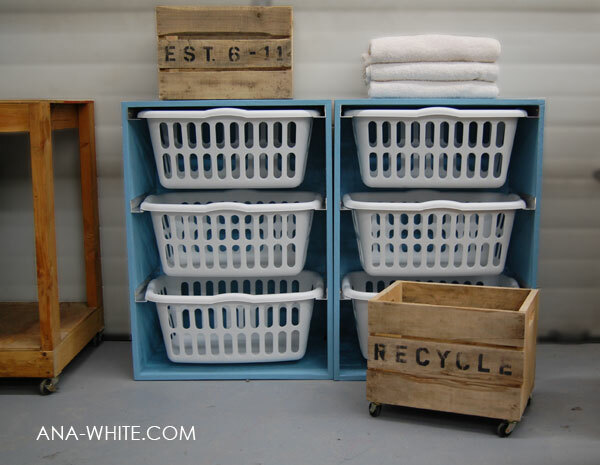 Keeping them in a plastic bag is not exactly a good idea so if you’re serious about your ingredients you might want to spend some time building a food storage shelving unit like the one featured on ana-white. The laundry room can get pretty messy too, especially if you don’t have a system in place for storing and organizing all the laundry and the cleaning supplies. One option is to use multiple baskets. You could label them if you want to and you can organize them all in a custom dresser like this one. 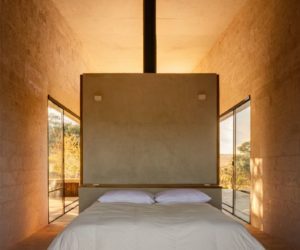 Check out ana-white to find out more details about this project. 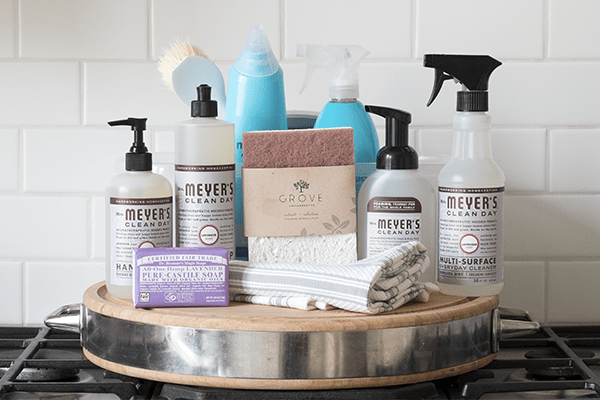 A stylish hamper might inspire you to keep the house clean and would also look nice when you hang it on the laundry room door. 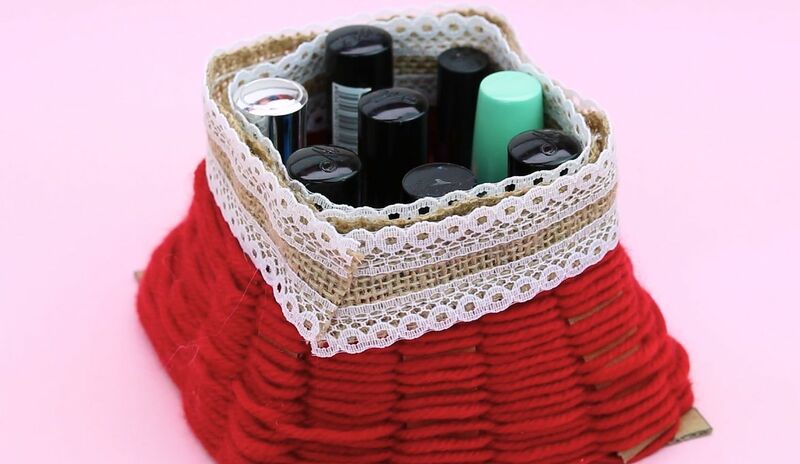 You can make the hamper yourself and it would actually be simple. You can use an embroidery hoop and some fabric with a nice pattern/ color. 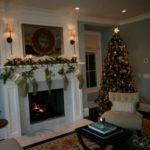 Check out the details on makingniceinthemidwest. Every once in a while when you do the laundry you probably find a lost sock or a single glove and after a while the pair magically appears. What happens is a mystery and trying to solve it is futile so you might as well put a fun spin on the whole thing with a wanted board for lost laundry. 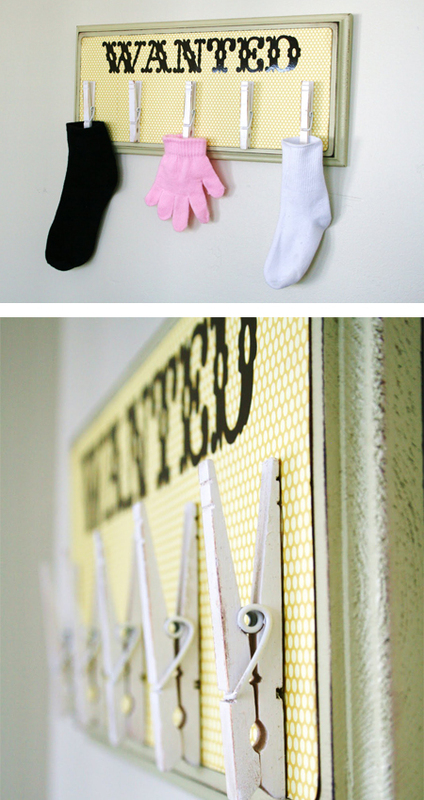 Use clothespins to hang each piece. 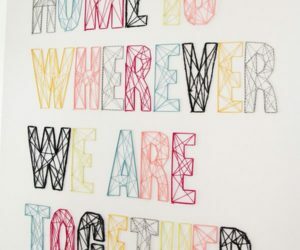 This cool and quirky idea comes from katiebrownhomeworkshop. 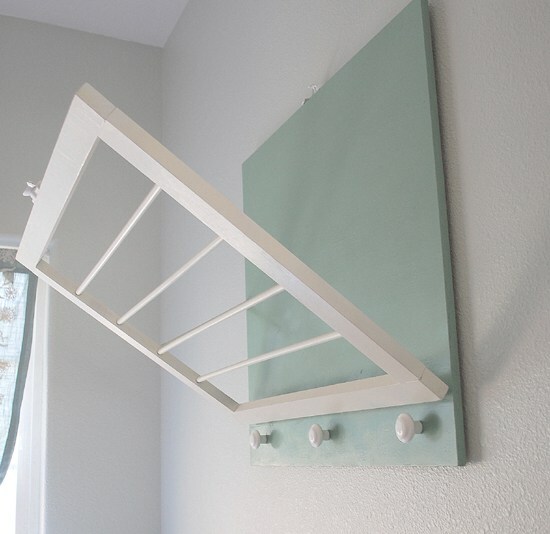 Another thing you can add to the laundry is a wall-mounted drying rack which can be neatly stored on the wall and only folds down when you need it. 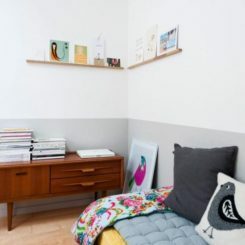 It’s great for small spaces and it’s super practical. 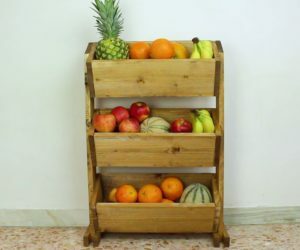 You can make it out of a few simple boards and some wooden dowels. Just follow the instructions from centsationalstyle. 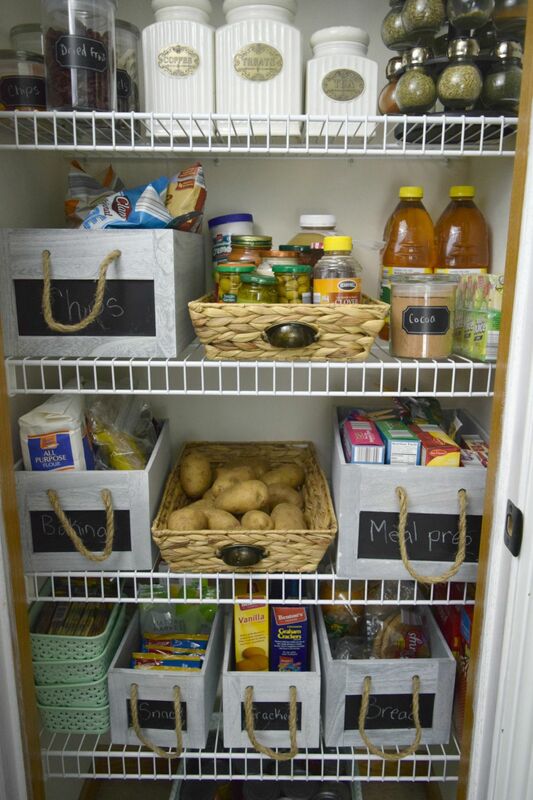 You can organize just about anything by simply finding a practical and suitable way to store the items. 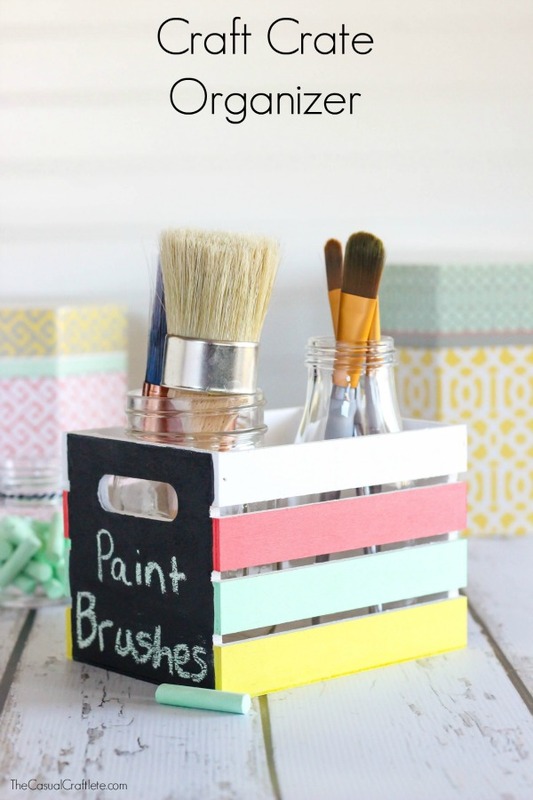 For example, you can keep the paintbrushes in a mason jar or two and you can group them together in a crate. You can personalize the crate by painting it or by labeling it. Check out purelykatie for some inspiration in this sense. 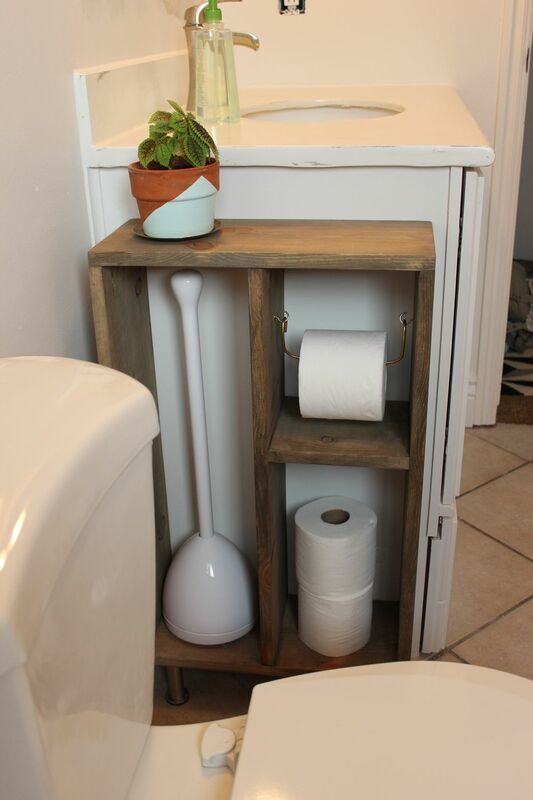 You can even organize common, everyday things like the items in your bathroom, including the toilet paper, toilet brush and other things. 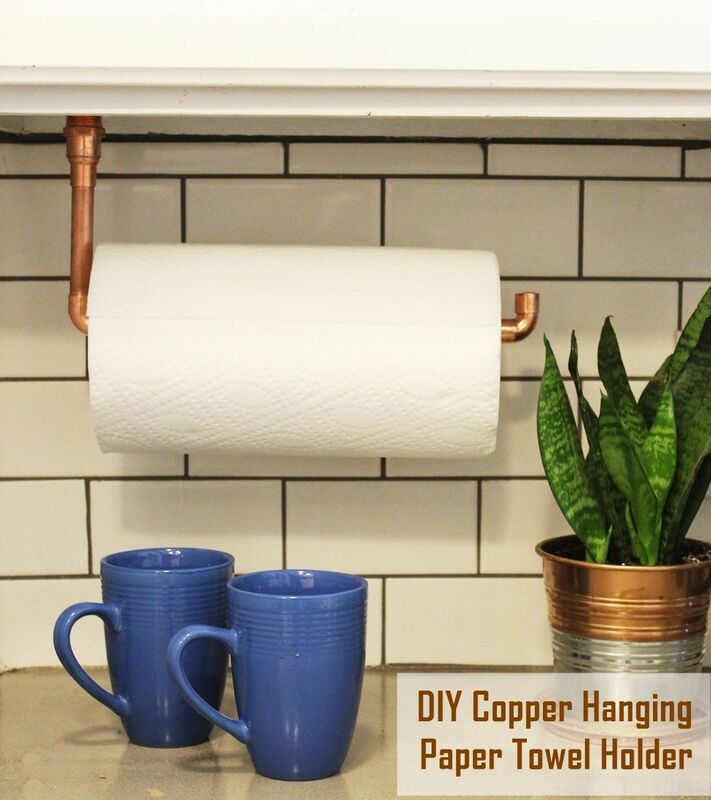 All of these items can be kept neatly inside a custom storage module which can include this simple brass toilet paper holder. 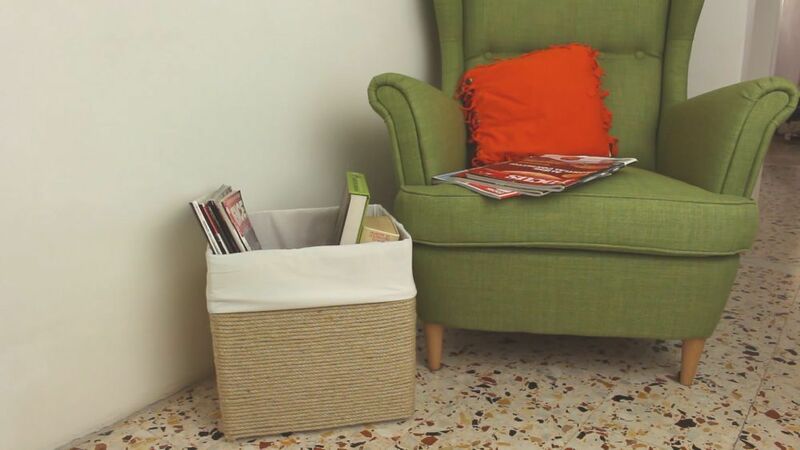 Organize your basic cleaning supplies into a box or a crate which you can easily carry. 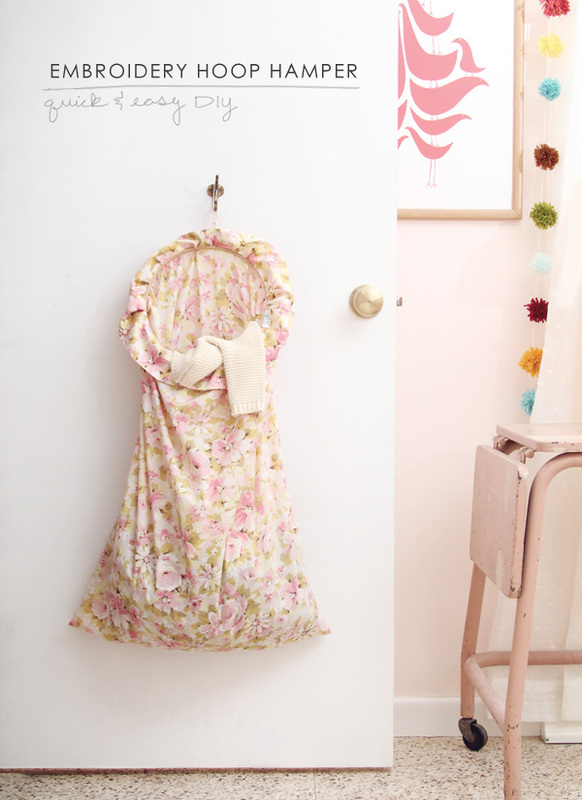 This way you can take them all with you when you’re cleaning the bathroom, the kitchen or some other area of the house and they’ll all stay grouped up. You can put together a kit with cleaning substances, sponges, gloves and other things you generally use. 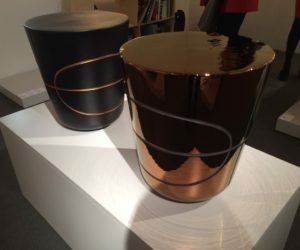 The container can be similar to the one featured on yourmodernfamily. A few simple updates can have a big impact on the way a space is organized or the ambiance inside. 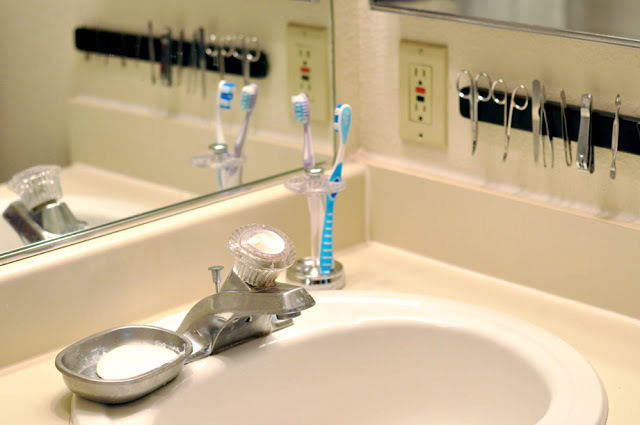 For instance, you can give your bathroom a quick and easy makeover by simply adding some towel bars on the back of the door or a some hooks to the underside of a wall-mounted shelf. It’s not much but it makes a big difference. Find more ideas on jennaburger. 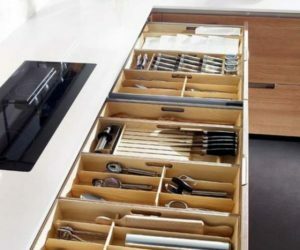 Drawers are super practical but they can get super messy, especially when you fill them with small things. The solution to this problem is simple: DIY drawer dividers. You can use them to separate the contents and to better organize your items, whether it’s socks, kitchen accessories or bathroom toiletries. Cardboard is very versatile but we rarely appreciate its usefulness. You probably have no idea just how many cool things you can craft out of cardboard, like storage boxes, mail stations and stylish organizers. 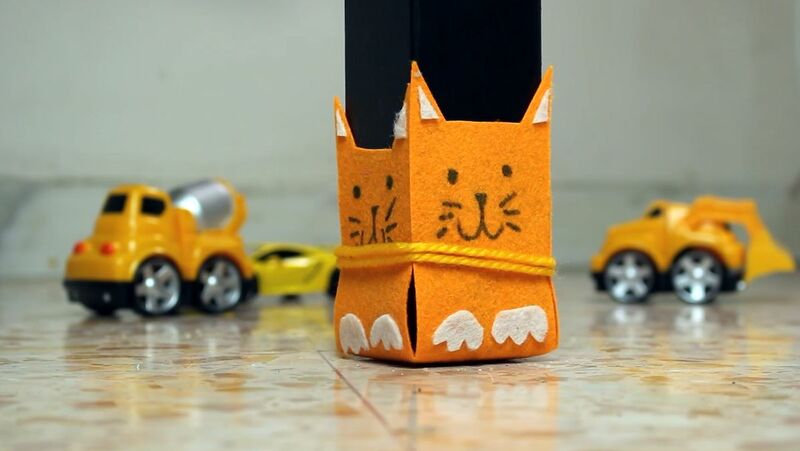 Check out our video tutorial on how to recycle plain cardboard to find out more about this. 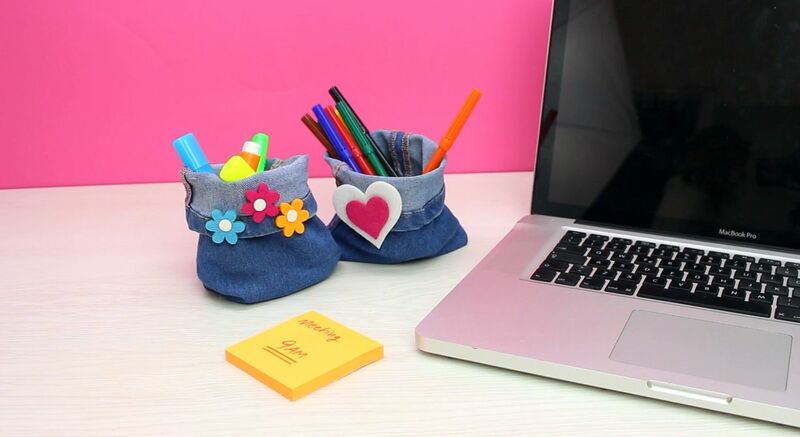 Did you know you can also upcycle old jeans to make cool and original desk organizers? That’s actually only one of the possibilities. 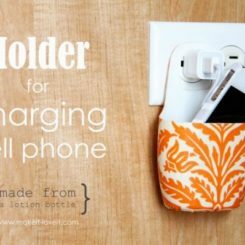 The project is simple and fun to make and there are many different ways in which you can customize the organizers afterwards. Tired of digging through a messy drawer every time you’re looking for your eye shadow or some other makeup product? 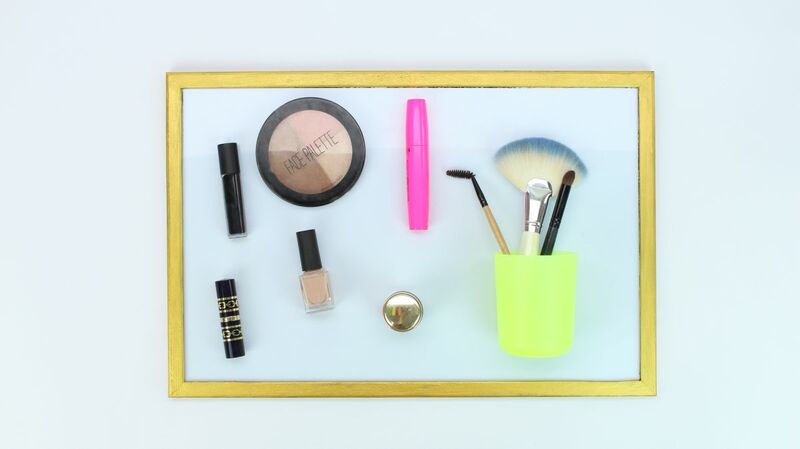 Solve that problem once and for all and craft yourself a magnetic makeup board. 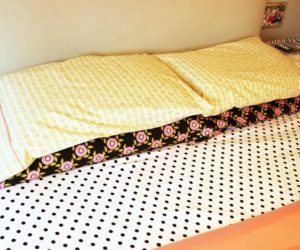 It’s very practical and you can make it look cool and stylish by painting its frame or decorating it with patterned paper. 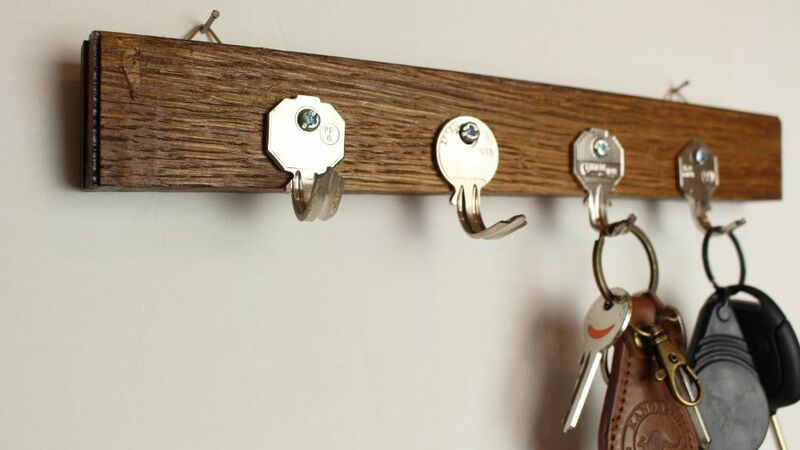 There’s not much you can do with an old key, except maybe turn it into an original and super cool key holder. It’s quite poetic actually. Old keys hold your new keys and the whole project is both fun and simple. 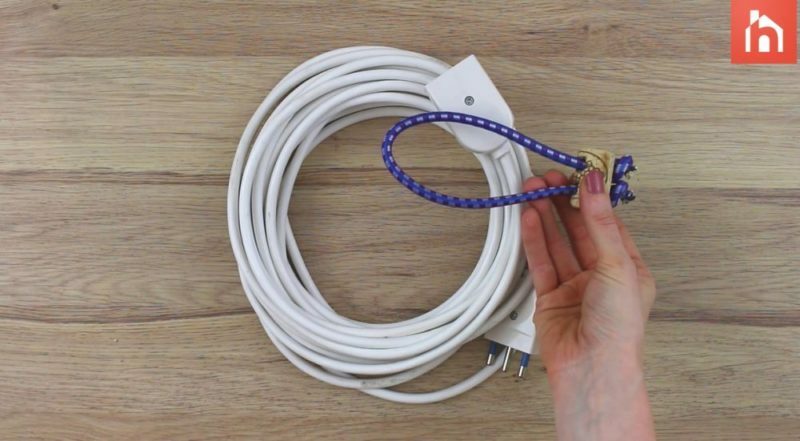 Find all the details in this video tutorial and go find yourself some good-looking keys to use in your next DIY project. 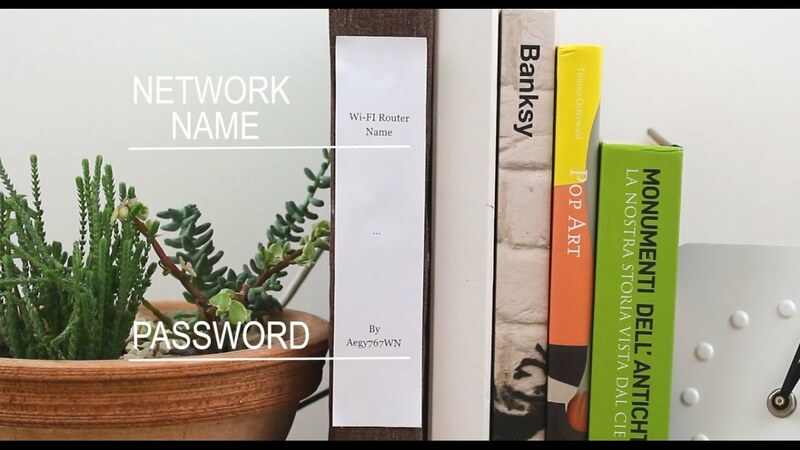 Most modern homes these days have a router (or more than one) and while this is a must-have, it can often be quite difficult to make the router blend in with the decor. We have a trick that we think you’ll like. It involves a binder and some fabric and it lets you hide a router in plain sight. 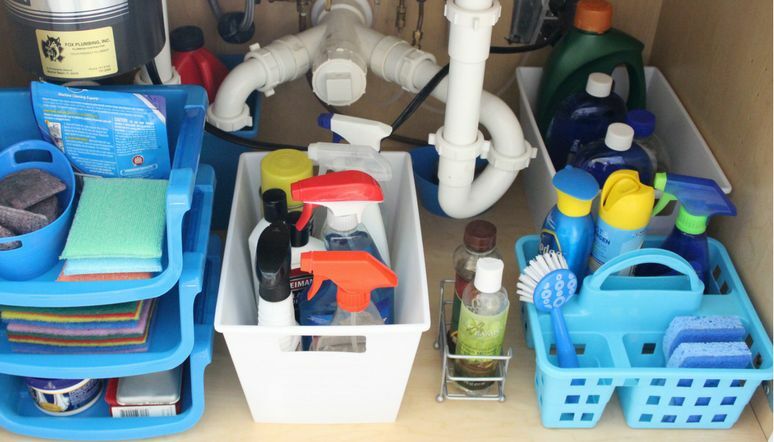 Have you ever used accordion drawer organizers? They’re very versatile and they’re also pretty easy to make at home. 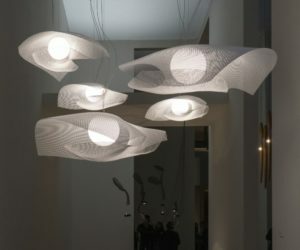 You can make them out of sheets of felt, thin craft foam or some other type of flexible and sturdy material. 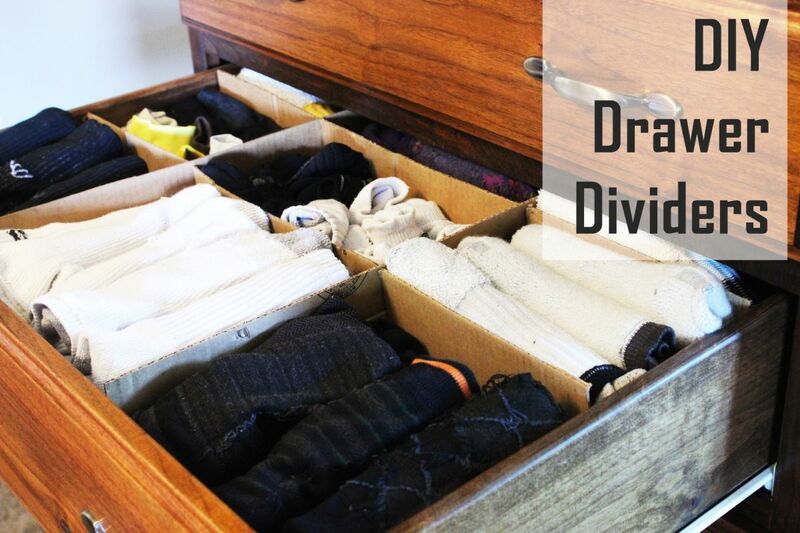 Use these organizers to divide your drawers into compartments. Cords and cables are extremely annoying but not everything is wireless so we have to deal with them. Avoid having a drawer full of tangled cords by making a few wine cork bungee ties which you can use to organize everything. It’s a very easy craft. All you need is corks, a few sturdy and elastic ties and a drill. 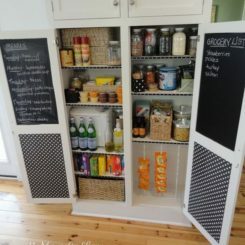 Organizing an entire pantry can take a whole day, even more but it helps to know exactly what you want to do and how you want to store everything so make a list of ideas that you’d like to put into practice. 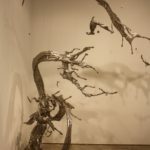 We suggest having a look at the post featured on pbjstories. It’s full of inspiring ideas. The fridge can get messy too, regardless of how careful you are. 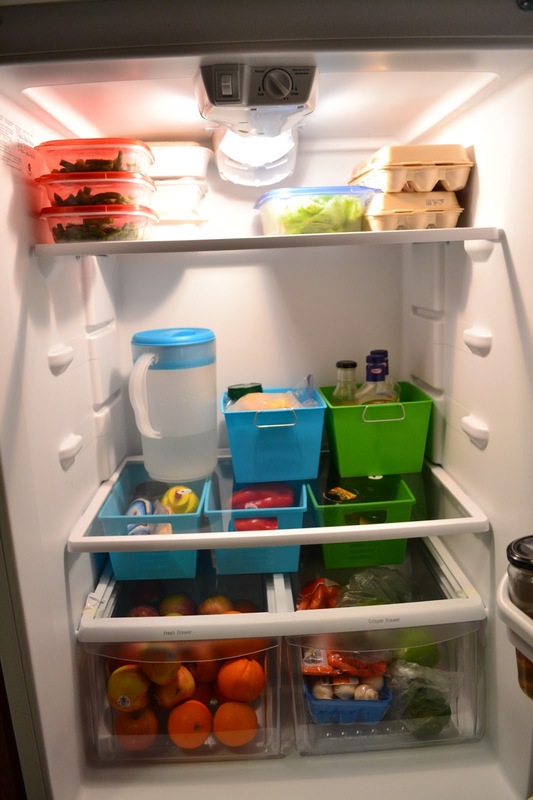 You can minimize the risk of having to dig through messy shelves and drawers by organizing the interior and the contents of your fridge with containers. This way you can also store more inside by stacking the containers. Find out more from thedomesticgeekblog. 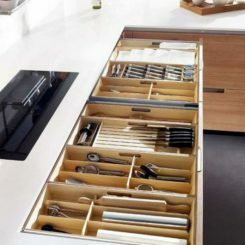 You don’t have to change everything in your kitchen just to make it more user-friendly and better-organized. A few simple organization hacks can do the trick. 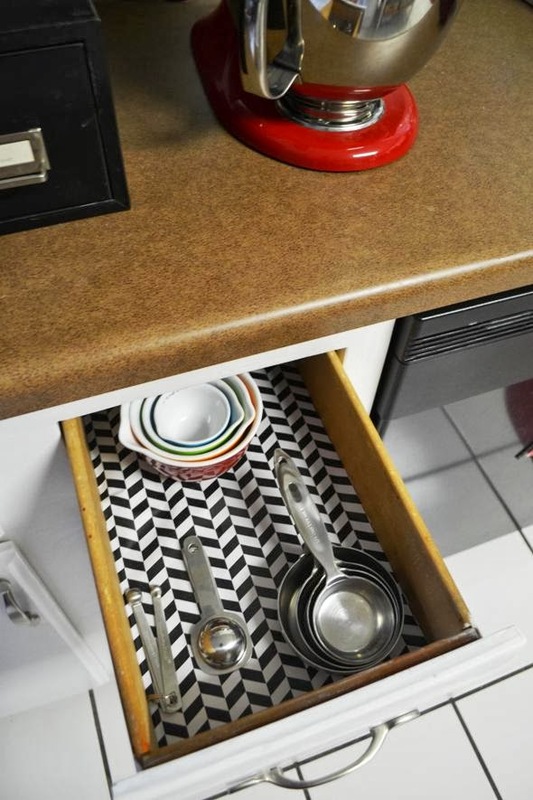 For example, you can give your kitchen drawers a makeover and line them with cool-looking paper in addition to also adding some dividers. 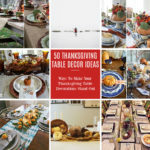 Check out sothecooksaid for extra tips and ideas. There’s one more space we haven’t mentioned yet: the space under the sink. It’s usually just an open area which can get pretty messy and organizing it is a real challenge. A few containers or shelves might help, especially if you use this space as a storage compartment for cleaning supplies. 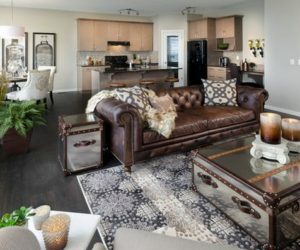 Check out an example of how this space could look like on neathousesweethome.